I love spring/summer season because of all the fresh produce available. 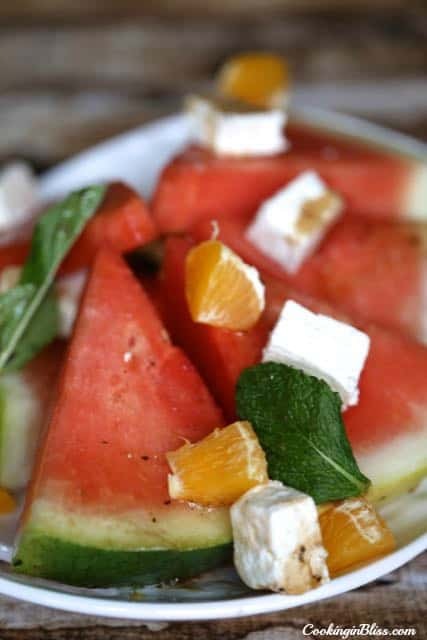 Watermelon is in season and one of my favorite watermelon recipe is this Watermelon Citrus Mint Salad Recipe. 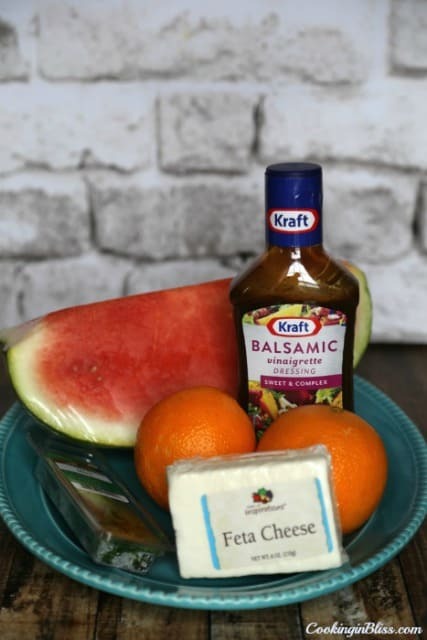 This is the perfect spring salad, I just love the mix of sweet watermelon, citrus and yummy cheese. It’s very simple, just combine all ingredients. You can also cut the watermelon into cubes or use watermelon scooper to form it into ball shaped ones.